The Goddess Within Each of us Awaits. 3" x 3.5" - 40 hour Altar Candles. There is a Goddess to call on for every intention. 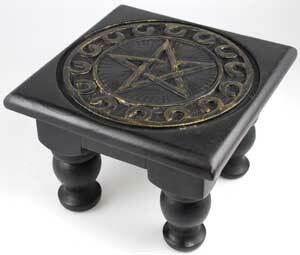 Perfect for your personal altars, or just to call upon the blessings and gifts each Goddess brings. 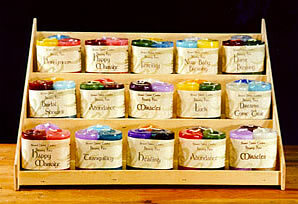 We did our homework to create a candle with the appropriate color and scent fit for each Goddess. 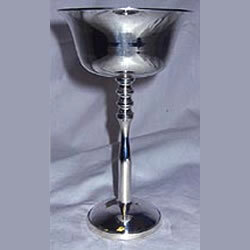 Invoke a Goddess to receive special earthly rewards. Aphrodite - Goddess of Romance Rose Geranium Date Pink Candle. Arachne - Goddess of Destiny Honeysuckle Myrrh Blood Red Candle. Astarte - Goddess of Passion Neroli Vanilla Deep Pink Candle. Brigit - Goddess of Inspiration Sage Lemongrass Light Sage Candle. Cerridwen - Goddess of Spell Craft Juniper & Cedar Midnight Black Candle. Diana - Goddess of Empowerment Fir & Vanilla Forest Green Candle. Freya - Goddess of Wisdom Amber & Nutmeg Honey Gold Candle. Hekate - Goddess of Crossroads Patchouli & Geranium Silver Grey Candle. Hygeia - Goddess of Healing Sandalwood & Sage Turquiose Candle. 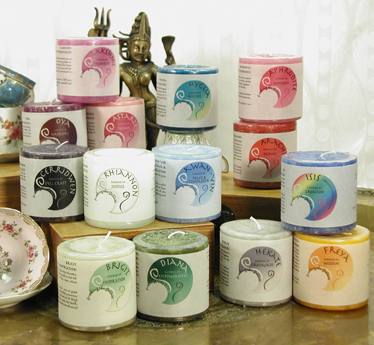 Isis - Goddess of Creation Jasmine & Cinnamon Ocean Blue Candle. Kwan-Yin - Goddess of Peace & Compassion Peoney & Tangerine Gentle Blue Candle. Lakshmi - Goddess of Prosperity Sandalwood & Jasmine Magenta Candle. Oya - Goddess of Warriors Ylang Ylang & Amber Eggplant Purple Candle. Rhiannon - Goddess of Justice Date & Cedar White Candle.